The subject of financial giving has gone off the rails. Don’t you agree? Instead of bringing us closer to God, and each other, the topic of giving in most churches is awkward, confusing, and often avoided. This is why I wrote Plastic Donuts. This simple message has traveled all over the world. 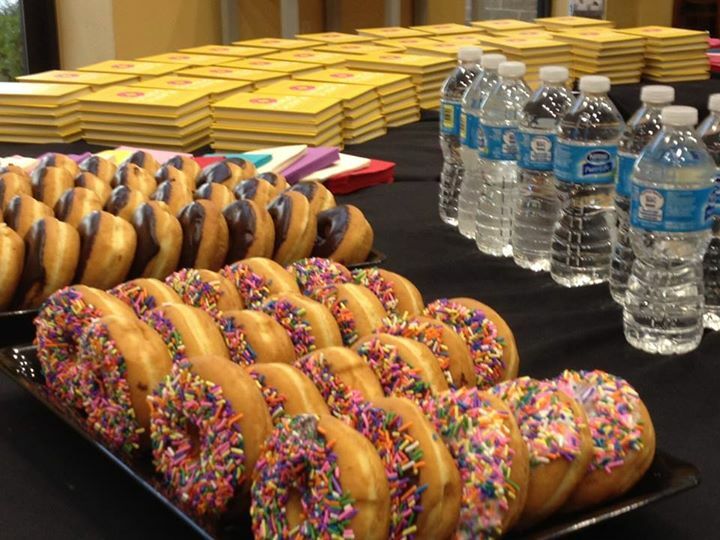 Pastors across North America have shared the plastic donut illustration to teach on giving, with tremendous results. When people see their lives from God’s perspective, it changes everything! Host a special workshop in your church, using our materials, or have me lead the event in-person. These workshops are an in-depth review of the four truths found in the book, Plastic Donuts. You can also utilize our Giving Guide, to help people directly apply these truths in their personal lives. This 6-page worksheet makes giving practical and relatable. Complete sermon notes and group study resources are also available. 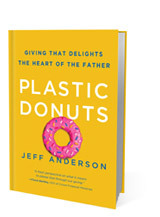 The plastic donut illustration immediately and emotionally drew me in, and helped me focus for the very first time on my Father’s reaction to our giving. This is needed. God is using Jeff to deliver a compelling message of generosity to this generation. Every time I am with him I am challenged and encouraged to live more generously.